Applications are invited On-line for recruitment to the posts of Group-II Services. payment of fee up- to 11:59 mid night). using the OTPR User ID through Commission’s website. 25,000 in number and likely to be held on 26/02/2017FN. Asst. Commercial Tax Officer in A.P. 06 Assistant Development Officers in A.P. 09 Assistant Section Officer (GAD) in A.P. Department as on the date of notification. Diploma in Handloom Technology issued by the A.P. Commission or an equivalent qualification. Mathematics of any University recognized by the U.G.C. Education and Training, A.P., Hyderabad. Education and Training, A.P, Hyderabad.  PC Maintenance and Trouble Shooting. (BCA) or B.Sc. (Comp.) or B.Com (Comp.) or B.A. 24 Junior Assistant in A.P. i) Must not be less than 165 Cms. in height. relaxed the requisite height and it shall not be less than 160 Cms. Excise Department shall possess a minimum height of 163 Cms., if otherwise eligible. i) Must not be less than 152.5 Cms. in height. ii) Must not weigh less than 45.5 Kgs. Scheme & Syllabus has been shown in Annexure-II(A). of age and if he/she is more than 42 years of age as on 01/07/2016. exceed the maximum age prescribed for the post for the candidates at Sl. No. 3 & 4.
authorized signature shall be produced as and when required. Mandal Revenue Officer in independent charge of a Mandal. be obtained in respect of different areas. apply as a “LOCAL CANDIDATE”. EDUCATIONAL INSTITUTIONS, HAVE TO SUBMIT RESIDENCE CERTIFICATE ONLY. certificate as laid out in circular memo No.4136/SPF & MC/2015-5, Dated.08/08/2016. (F) The following are the districts. S.L. No. Name of the District S.L. no responsibility for the mistakes, if any, made by the candidates. Number and Name, OTPR ID Number and Date of Birth to proceed further. paying through either Net banking / Credit Card / Debit Card. has to be quoted for future reference/correspondence. be considered for the purpose of this Notification.  All the candidates are requested to submit their application with correct data. one week of the last date of submission for application. very careful in Uploading / Submitting the Application Form Online.  INCOMPLETE/INCORRECT APPLICATION FORM WILL BE SUMMARILY REJECTED. STAGE OF RECRUITMENT PROCESS OR EVEN AT A LATER STAGE. application processing fee and Rs 80/- (Rupees Eighty only) towards Examination Fee. examination fee of Rs.80/- only.  SC, ST, BC, PH & Ex-Service Men. exemption from payment of fee and not entitled for claiming any kind of reservation. service for the purpose of online remittance of Fee will be appended separately. ii) The fee once remitted shall not be refunded or adjusted under any circumstances. key would not be entertained. processed as per the relevant General and Special Rules in force. Local cadres and Regulations of Direct Recruitment) Order, 1975 (G.O.Ms. No.674, G.A. 70% of the posts consisting of locals only. that they have applied for this recruitment. reservations for PH will be applied. among Backward Classes in order to exclude from the provisions of reservations. applicants would be allowed to appear for the main examination. BE HELD AS PER THE SCHEME OF EXAMINATION ENUNCIATED AT PARA 7 ABOVE. Regulation 14-A (III) of Commission’s Regulation, shall apply. COMPUTERS AND ASSOCIATED SOFTWARE” will be conducted for the Post Code. No’s. 08,09,10,11,12,13,17,18,19,20,21,22,23,24,25,26,27,28,29,30,31, 32,33 and 34 as per G.O. has been shown in Annexure-II(A). is relaxable in the case of SC/ST/BC/PH at the discretion of the Commission. application to the post online. for being considered to the selection. automatically render the disqualification of the candidature. candidate is advised to fill in all the relevant particulars carefully. particular or any Zone in general. from any bodily defect or infirmity. selections. Such a request must necessarily be accompanied by a Xerox copy of the Hallticket. For Pc. No. 01 Municipal Commissioner Grade-III in A.P. Municipal Commissioner Sub-Service. For Pc.No.02 Assistant Commercial Tax Officer in A.P. Commercial Taxes Sub-ordinate Service. For Pc. No. 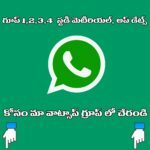 03 Sub-Register Grade-II in A.P Registration Sub – ordinate Service. For Pc. No. 04 Deputy Tahsildar in A.P. Revenue Subordinate Service. For Pc. No. 05 Assistant Labour Officer in A.P. Labour Sub- ordinate Service. For Pc. No. 06 Assistant Development Officers in A.P. Handloom & Textile Department. For Pc. No. 07 Extension Officer in A.P Panchayat Raj & Rural Development Department. For Pc. No. 08 Prohibition & Excise Sub Inspector in A.P. Prohibition & Excise Sub-Service. For Pc. No. 09 Assistant Section Officer (GAD) in A.P. Secretariat Sub. Service. For Pc. No. 11 Assistant Section Officer (Law Dept.,) in A.P. Secretariat Sub-ordinate Service. For Pc. No. 12 Assistant Section Officer (Legislature Dept.,) in A.P. Legislature Secretariat Service. For Pc. No. 14 Senior Accountant (HOD) in A.P. Treasuries & Accounts Sub Service. For Pc. No. 15 Senior Accountant (District) in A.P. Treasuries & Accounts Sub Service. For P.C. No.26 Junior Assistant in A.P Prohibition & Excise Department. For P.C. No.27 Junior Assistant in A.P sugar and Cane Department. For P.C. No.28 Junior Assistant in A.P Road & Building Department. State Governments, Scheduled and Tribal Area Administration. Language, Literature, Art and Architecture. Anti- Zamindari and Kisan Movements. Growth of Nationalist poetry. of News Papers in the Andhra Movement. Distinctive features – Unitary and Federal. Parliamentary, Judiciary- Judicial Review, Judicial Activism. State Public Service Commissions, CAG and Finance Commission. Krishna Committee – National Integration- Threats to Indian Unity. Commissions – Human Rights Commission- RTI- Lokpal and Lok Ayukt. operative Federalism and decentralization of financial resources. Foreign Trade Policy. Current account imbalances; FDI. – agricultural subsidies – public distribution system in Andhra Pradesh. Information Technology in Andhra Pradesh. same type as given in the Question Paper. d. Merge, split cells of table. f. sorting data in a table. minute (Lower type writing test). 7. Copying format of cell along with data format. 8. Changing the height and width of cells. 10.Enter formulae for calculation in the cells. 11.Copying the formula over a range of cells. 12.Inserting built-in functions in to the cells. 13.Create graphs for the data using Chart Wizard. 3. Insert text and pictures into a blank slide. 4. Insert new slides into the presentation. 8. Set the sounds, order and timing for animation. Explorer, Mozilla Firefox, Google Chrome etc.,). 2. Search the Web using Search Engines. 3. Create an E-mail account. 4. Send and receive E-mail. AND SIGNATURE THROUGH J.P.G FORMAT. The following certificate formats are available on the Commission’s Website (www. him/her in the examination hall. from the candidates in this regard. whatsoever will be entertained from the candidates in this regard. 4. The Commission may introduce Aaadhar Based bio-metric identification for examination. examination hall. Non programmable calculators would be permitted, wherever necessary. inform the invigilator if this is not the case. and the Password (Password for Candidate will be given on exam day) to proceed further. 5) Invigilator will announce the password 10 minutes before the start of the examination. if any candidate is found noting down the questions and/or options. *Profile Information – Check the details & click on “I Confirm” or “I Deny”. *Detailed exam instructions – Please read and understand thoroughly. *Please click on the “I am ready to Begin” button, after reading the instructions. Tick mark) – Question answered and marked by candidate for review. move onto the next question. INSTRUCTIONS button on your screen. the exam will start from the time where it had stopped. please leave them outside the exam room. you want to use the wash room. signature and photographs available on the Nominal Rolls and Hall Ticket. 4) The candidates must note that his/her admission to the examination is strictly provisional. advised not to change their appearance till the recruitment process is complete. examination hall and any form of malpractice will not be permitted in the exam hall. centre is authorize to take spot decision in this matter. correspondence whatsoever will be entertained from the candidates. G.A(Ser.A) Dept., Dt.18/10/2016 will also be applicable. considering the appointment of scribe in the examination. passport size photo on Hall-ticket and appear by duly getting it attested by Gazetted Officer. same on the Nominal Rolls. 11) The candidate will not be admitted to the examination Hall without procedural formatives. confirmation/satisfaction of conditions laid down in the Notification No.18/2016. appropriate places in the Nominal Roll. 14). Instructions to be followed scrupulously in the Examination Hall. * As for the Scheduled Castes and Scheduled Tribes Orders (Amendment) Act 2002, Act No. only. (included in vide G.O.Ms. No. 44 B.C.W(C2) Dept., Dt.07/08/2008). Hyderabad and Ranga Reddy District only. 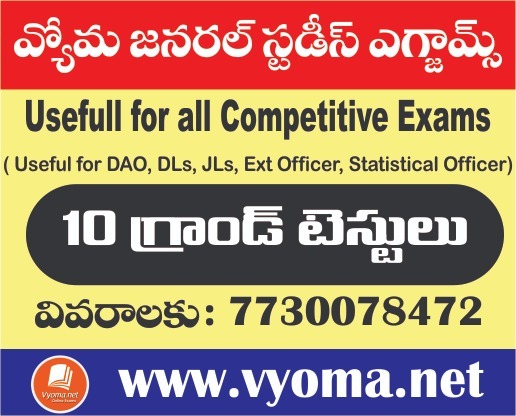 Vizianagaram and Visakhapatnam districts only. N.B.:1. The above list is for information and subject to confirmation with reference to G.O. Ms.
No. 58, SW(J) Department, dated 12/05/1997 and time to time orders. shall be final in all such cases.